Chief n’ Council come from the prairies of Siksika Nation, Alberta. Their music is presented as a mix of alternative and rock heavily influenced by a rural lifestyle on the Rez. 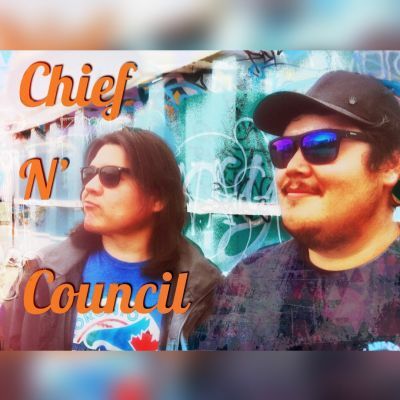 With roots from Treaty 6, 7 & 8 this pair of cousins bring a glimpse of their world through a combination of drums, sage, sweetgrass and guitar.